Want to become the “Go To” expert in your industry? One of the easiest ways to drive prospective clients and customers to your business is to become the expert in your field. The term Expert carries credibility and prestige that can open many doors for you, and, oddly enough, the term is relatively easy to acquire. This simple three-step process can help you quickly and easily set yourself up as the expert in your field. Instead of trying to be everything to everybody, narrow down your focus to the things that you are really, really good at. A friend of mine set himself up as an expert at leadership training for water treatment facilities. When he told me what he was doing, I asked, “Is there any money in that?” He smiled and said, “Every city’s got one, and I’m the only leadership expert in this field in the country.” He was frequently quoted in trade journals and asked to speak at their conventions. Find your niche, and you’ll eliminate your competition. After you determine your niche, begin to write articles about your area of expertise. Every single day, tens of thousands of editors, web masters, and newsletter publishers are looking doggedly for unique and information-packed articles. If you can write articles that teach readers about your industry, you will find numerous places that will quickly publish your article. I spent ten years as a trainer before someone, out of desperation, asked me to write an article for her trade journal. A few months later, another editor saw the article and asked if she could reprint it. Before long, I began to get inquiries from companies in that industry, and a snowball effect began to occur. The more business I did in the industry, the more of an expert I became. I followed with other articles, and within a short period of time, I became a recognized expert in an industry that I had never received any formal education in. Write a few articles, and you can become a recognized expert in any field. When your articles begin to get published, you’ll start to receive requests to speak more often. 95% of the population has some type of nervousness about public speaking. So when you stand up and say what you want to say, the way you want to say it, you are doing what 95% of the population wish they could do. When you speak about your industry, you set yourself up as the expert on that topic. You gain instant credibility. If you get nervous when you speak in front of a group, attend a public speaking class. It will be the best investment of your life, because the more confident you are when you present your ideas, the more competent you will appear in front of a group. Follow these three simple steps and you will become the recognized expert in your specific niche. 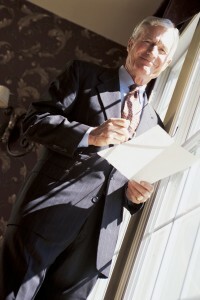 Doug Staneart is CEO of The Leaders Institute®. He is an expert at helping people overcoming the fear of public speaking, building confident and autonomous leaders, and improving employee morale. He can be reached toll-free at 1-800-872-7830.